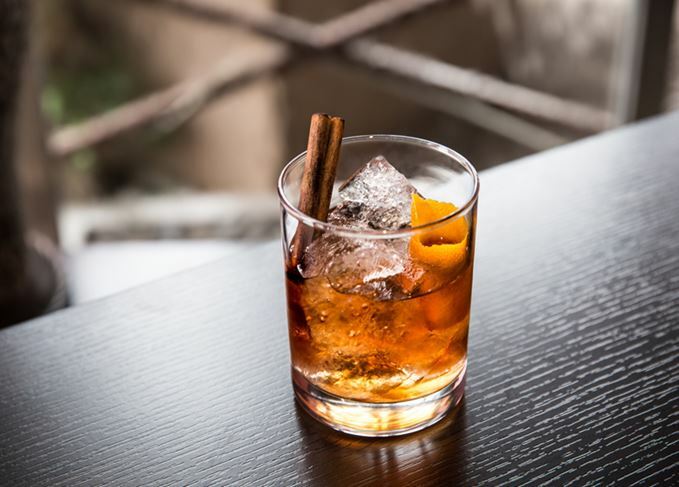 As the world’s most popular whisky cocktail, the Old Fashioned has been on the receiving end of countless reinventions – both good and bad, as Jake Emen finds. Time and again, thirsty bar-goers the world over have ordered an Old Fashioned only to end up with an alcohol-soaked fruit salad in their glass. Not only is it a disappointing experience, it’s also a far cry from what the drink actually is – a timeless cocktail that shines due to its simplicity. The drink is best served with a characterful spirit that is enjoyable on its own, but which may also be improved upon with a few bright spots of flavour, applied in the form of a touch of sweetness accompanied by a punch of bitters and a kiss of citrus. Easy-sipping yet strong, the drink holds its own at happy hour or later in the evening, alongside food or without. Here, explore the cocktail, its history, and how to make it. The bitters are traditionally Angostura, while the sugar could come in the form of a sugar cube, sugar granules or even a simple syrup (usually made of equal parts water and sugar). Mix/ muddle the sugar and bitters together in a tumbler – a drop of water here can help dissolve the sugar. Add a pour of whisky and a few cubes of ice, stir and garnish with a lemon or orange peel twist. Today, an orange peel seems to be more fashionable than a lemon peel, though it’s a matter of personal preference. For instance, cocktail and spirits historian David Wondrich mentions in his book Imbibe! he prefers a lemon peel with rye whisky, and an orange peel with Bourbon. The roots of the Old Fashioned extend as far back as the original concept of what we know as a ‘cocktail’, however the Old Fashioned itself truly came into form in the 1880s. The drink was named to denote, as Wondrich explains, ‘the Old-Fashioned way of making cocktails’. Even in the early days of the cocktail then, it seems that a growing contingent of enthusiasts were already fed up with the fancification of their booze. The Pendennis Club in Louisville, Kentucky lays claim to having invented the drink in 1881 for the same reason – in the quest of a cocktail made in the ‘old fashioned way’. However, this claim falls somewhere between unproven and factually incorrect depending on whom and what you care to believe. In either case, there's no known reference to The Pendennis Club’s supposed 1881 invention until half a century later, in 1931. What is certain is that the drink is the descendent of the ‘Whiskey Cocktail’, which was created by Jerry Thomas, the man viewed today as the forebear of modern bartending. In his seminal 1862 guide, Thomas lists the cocktail’s ingredients as having gum syrup, Bogart's bitters, whisky and a piece of lemon peel, shaken with fine ice and then strained. The Whiskey Cocktail and the original Old Fashioned therefore showcase ingredients which were more or less the same, ‘but the method by which those agents were combined and presented had [changed]’, cocktail journalist Robert Simonson explains in his book The Old-Fashioned. The drink was no longer shaken with ice and then strained into a separate glass. Instead, it was prepared with ice in the same glass that would be served to the customer. Sweetness in the form of syrup was displaced by lump sugar, while bitters would eventually be called out specifically as Angostura. Spoon or not, Kappeler’s Old-Fashioned is for all intents and purposes the Old Fashioned – it’s essentially the exact same recipe laid out in the beginning of this article. While Wondrich notes that only ‘whisky, brandy, Holland gin and Old Tom gin’ have true claims as base spirits used for an Old Fashioned, the cocktail is versatile enough for experimentation. Frequenters of today’s cocktail bars will commonly see rum used in place of Bourbon or rye whisky, as well as Cognac and other brandy, cachaça and Tequila. Not to mention both blended and single malt Scotch, as well as Irish and Canadian whisky, are regularly used in the cocktail too. The aforementioned ‘fruit salad effect’ decried in the opening isn’t a new grievance, either. Wild additions of pineapple and a range of liqueurs were common in early 1900s, proving that such erroneous experimentation isn’t confined solely to today’s cocktail renaissance. It appears that when met with excellence and delivered via profound simplicity, human – or at least bartender – nature is to believe that adding complexity will produce an even grander spectacle as opposed to detracting from the original’s success. Despite what cocktail purists might say, drinking is ultimately about enjoyment, and interpretations or riffs on the traditional Old Fashioned recipe can be as creative as the drinker wishes. This recipe comes from Scotts Restaurant & Bar, a new venue in Washington, DC with a large collection of Scotch whisky, including a member’s club boasting more than 100 Scotch Malt Whisky Society bottlings. A smouldering Laphroaig 10-year-old makes for a bold choice of spirit, which is then balanced by a touch of rich sweetness provided by the chocolate bitters. ‘The chocolate bitters help to quell the smoke and round out the cocktail,’ explains Jesse Hiney, general manager of Scotts. While the citrus peel is usually recognised as the traditional garnish for an Old Fashioned, Hiney deploys a brandied cherry to work in tandem with the chocolate bitters. A whisky club with a difference: Whisky Blasphemy is not afraid of straying from the status quo.